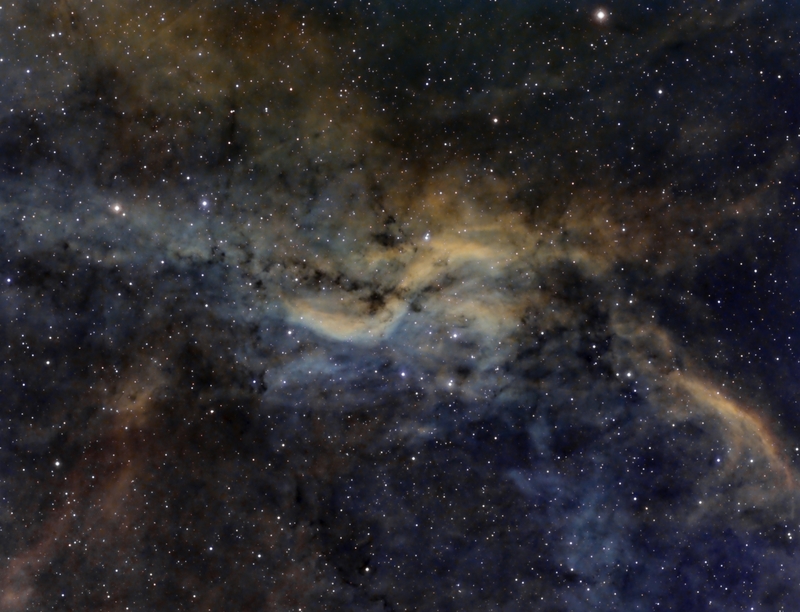 Simeis 57 (also known as HS 191 and C 191) is a high surface-brightness nebula in the constellation Cygnus, about two degrees north of the large nebula IC 1318a. It is a prominent object on the Palomar Sky Survey images, not least because of its peculiar S shape, reminiscent of a garden sprinkler or propeller. Neither the distance nor the source of excitation of Simeis 57 are known. Despite its remarkable appearance and its apparent vicinity, very little attention has been paid to Simeis 57 since it was first cataloged in the 1950’s.